Choral clinician, composer and musical director, Dr. Edgardo Lumbera Manguiat is the founder of the University of the Philippines Singing Ambassadors (UPSA). He is the winner of the Dirigentenpreis (Conductor’s Award) at the 2nd Johannes Brahms International Choir Competition in Germany, and the Special Prize for Excellent Conducting Performance at the 25th Bela Bartok International Choral Competition in Debrecen, Hungary. Ed studied both at the U.P. College of Music and the UST Conservatory of Music under music pedagogues like National Artists Andrea Veneracion and Francisco Feliciano, Rey Paguio, Elmo Makil, Fides Cuyugan-Asensio, Chino Toledo, and Raul Sunico, among others. He has collaborated with three (3) National Artists - Lucio San Pedro, Bienvenido Lumbera, Virgilio Almario, either as composer or lyricist. 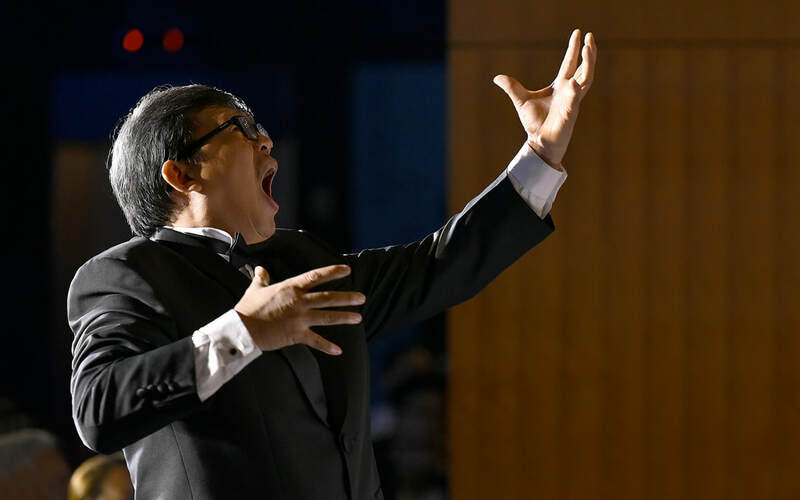 His works include hymns and inspirational songs including one of the themes in the internationally-acclaimed film “Magnifico”, the Philippine Arena Theme, and the Iglesia Ni Cristo Centennial Hymn, to name a few. Ed is a member of the International Federation of Choral Music (IFCM) and the Philippine Choral Directors Association (PCDA) . He formerly heads the Conducting Department of the NEU College of Music. He was recently inducted as Board Member for Arts and Culture of the U.P. Phi Kappa Phi Honor Society. In May 2015 at the Philippine Arena, he was conferred the honorary degree of Doctor of Music, honoris causa by the New Era University (NEU), as sanctioned by the Commission on Higher Education (CHED). Ed finished BS Hotel and Restaurant Administration also from the State University.